The Wagon & Horses is a traditional Pub serving food with a late licence all week! 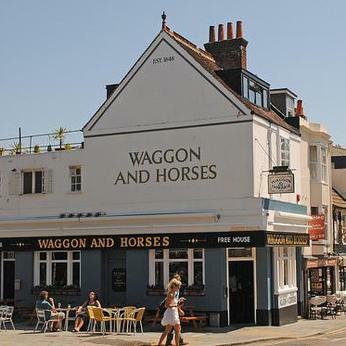 Waggon & Horses in Brighton has a beer garden. The pub has disabled facilities, it serves food. Waggon & Horses has an outside area. The pub serves real ale, it has a smoking area.